Methodist College will honor its fall 2018 semester graduates at a commencement ceremony on Saturday, December 15 at 10:00 a.m. at Bethany Baptist Church, 7422 North Heinz Lane, Edwards, Illinois. The fall 2018 class includes 66 baccalaureate graduates and four master’s degree graduates. The keynote speaker will be Keith Knepp, M.D., C.P.E., President for UnityPoint Health Methodist | Proctor and President UnityPoint Clinic | Peoria. Dr. Knepp began his clinical career in Eureka, Illinois, after completing a Family Medicine residency at Methodist Medical Center. He joined the faculty of the Family Medicine Residency Program in 2007. He became Chief Medical Informatics Officer in 2010 and named Vice President of Systems Integration in 2012. Prior to his role as President, he served as Executive Vice President and Chief Operating Officer of UnityPoint Health – Peoria and in 2015 he also became President of UnityPoint Clinic – Peoria. 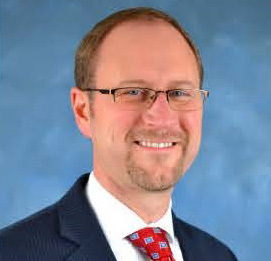 Throughout his roles with UnityPoint Health, Dr. Knepp has had responsibility and overseen information technology; quality and analytics; care coordination activities; and operational responsibility for the hospitals, post-acute services, and the employed medical group. Dr. Knepp has received numerous awards recognizing his achievements and serves the community through non-profit organizations. Methodist College, an affiliate of UnityPoint Health, can trace its history to 1900 when the deaconesses of the Methodist Episcopal Church opened the Deaconess Home and Hospital and its School of Nursing. In March 2000, Methodist College was established and has grown to an enrollment high of 692 students with bachelor degree programs in nursing, social work and health science; certificates in nursing assistant, medical assistant, and gerontology; and three programs within the master’s degree in nursing.